SAVE GAS - WIN CA$H Win a monthly $1,000 cash prize for carpooling and qualify for the Annual Grand Prize Drawings. Get $600/mo. to start a new Vanpool Vanpooling is a great alternative to driving alone. It's reliable, relaxing and economical! Senior Taxi Scrip Fresno County seniors: receive a 75% discount on taxi fares with taxi scrip! Seniors 70 years and over are eligible for the scrip. Bicycling Bicycling is clean, quiet and produces no air pollution. Bicycles don't require expensive fuels for operation. They are low maintenance, and inexpensive to maintain, a cinch to parallel park. Public Transit Using public transit means less time fighting traffic and more time relaxing. During the trip to work you can focus on other things such as the newspaper, a good book or work notes. Commute time becomes your personal time! Valleyrides.com is a secure and confidential service. You control the information you want to provide. Registration is simple. Just provide your email address along with your starting point and destination information, and your standard work or class schedule. Valleyrides.com will then provide you a match list of compatible commuters that have also expressed an interest in ride sharing and are registered with this service. Simply logon and you will receive guidance through the matching process. This site is brought to you through a cooperative effort between California State University Fresno, and the Council of Fresno County Governments. 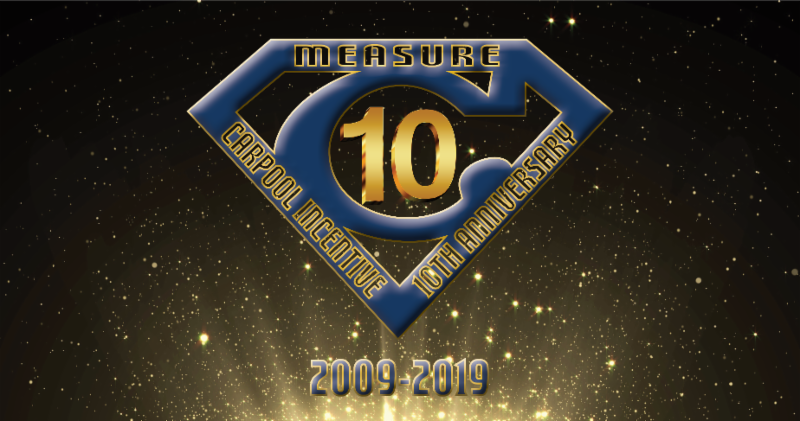 Join us for an evening full of memories, fun, food and prizes as we celebrate the 10th Anniversary of the Measure C Grand Prize Giveaway! Prizes include 14 – $1,500 Shopping Sprees and 2 Vacation Travel Vouchers that let YOU choose your ideal getaway! You must be present at the event to win 7 of the 16 Grand Prizes. Plus, we’ll be giving away $3,000 worth of drawing prizes to those who attend. commute logs, you are eligible to attend the Grand Prize Giveaway. Watch for the official invitation and details to follow. The Invitation will come from Eventbrite, so make sure you check your email! In order to serve the diverse information needs of FresnoCounty, Valleyrides.com has established this Climate Change Information Portal.